Say “double overhead camshaft” to Jean and she knows exactly what it means! Jean looks after our front of house with Tony and Yvette. Like all our staff Jean has more years than she cares to remember as a French Car receptionist. 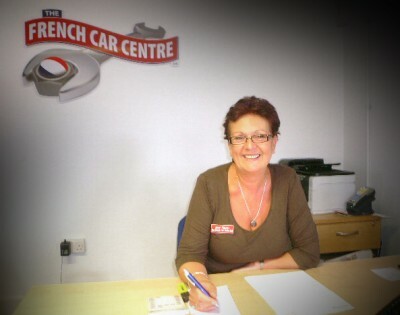 Jean will advise you on costs, keep you informed during your car’s stay with us and – yes – finally arrange payment. Jean lives in Lydney.